Are your projects failing to achieve the expected quality standards from your business? 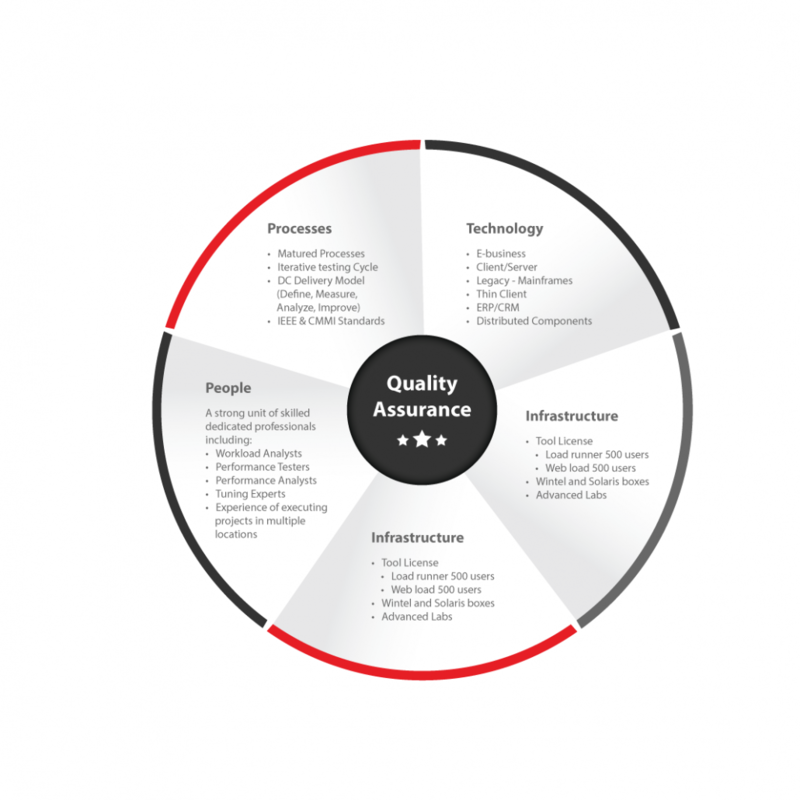 Confused about what level of quality assurance is required? Seeking outputs that justify the cost and time of setting up standards in the first place? Need a quality assurance guide who understands that their implementation does not occur in a vacuum but it a dynamic, often budget driven environment for demanding clientele? Delivery Centric delivers proven expertise in the full range of testing disciplines. Like all of our lifecycle solutions, our testing process will adapt to your needs and specifications, ensuring your confidence – and the end user’s – in the final application or product. Sometimes, the best testing instruments are a person’s eyes and hands. Like when you need to visually confirm graphic displays or evaluate a program’s full functionality. With this method, we will prepare a comprehensive test plan that aligns with your specifications. We will test installation, compatibility, functionality, and reliability. We can test a wide variety of applications in a comprehensive range of environments (user platforms, operating systems, servers, browsers), as well as user interface performance under increasing load. Then there are times when automated testing makes more sense, practically and economically. For example, after defect resolution and product extension projects, when regression testing is needed to repeatedly make sure code changes are maintained without negatively affecting functionality. With repetitive processes, automated testing can eliminate fatigue-related human error and maximise accuracy. Our services include test scripts, plans, and specifications; data-driven testing; production test automation; test consulting; and regression test suites. If your products, applications, and systems do not perform well, you can throw your enterprise’s responsiveness and competitiveness out the window. Delivery Centric’s proactive performance testing can help you ensure application interactivity, security, and speed. We’ll start with a performance requirements feasibility analysis. Look at the interoperability of applications across various platforms, browsers, servers, and languages. Discover ways to reduce the risks associated with Internet fraud, workflow bottlenecks, and scalability problems avoiding breakdowns under peak-load stress, maximizing efficiency and productivity. Delivery Centric’s white box testing covers the internal logic and structure of code, revealing any errors in logic and confirming adequate coverage of all code statements. We ensure code conforms to design, testing all paths, branches, and conditions. We can conduct unit testing; static and dynamic analysis; security testing, integration testing, and more. Black box testing examines the functionality of an entire system, and is critical for improving product quality and speeding up time-to-market. To prepare for this type of testing, Delivery Centric’s designs test scenarios, defines test conditions, identifies data to be used, and describes the expected results. Our testing expertise includes system testing, end-to-end testing, and much more. Contact Us to put your applications and products to the test, and ensure maximum performance. Quality assurance testing will mitigate the risk of loss and damage to your brand. As such, it is arguably the most critical of the development lifecycle stages.